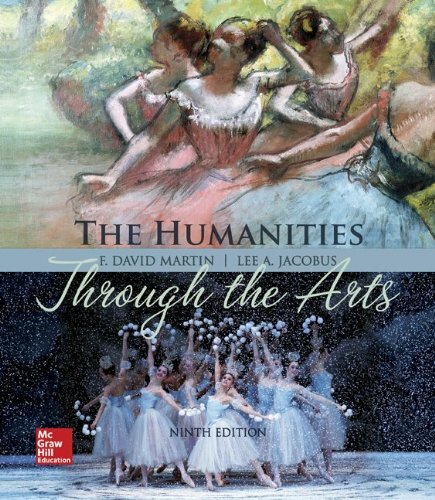 Humanities Through the Arts, ninth edition, continues to explore the humanities with an emphasis upon the arts as an expression of cultural and personal values, examining the relationship of the humanities to important values, objects and events. The book is arranged topically by art form from painting, sculpture, photography, and architecture to literature, music, theater, film, and dance. Four major pedagogical boxed features enhance student understanding of the genres and of individual works within the genres: Perception Key boxes, Conception Key boxes, Experiencing boxes, and new Focus On boxes. Intended for introductory-level, interdisciplinary courses offered across the curriculum in the Humanities, Philosophy, Art, English, Music, and Education departments, this beautifully illustrated text helps students learn how to actively engage a work of art.